Astrology studies the relation between the position and movement of celestial bodies and life on earth. But what is the relevance of astrology for practitioners of the Royal Art? Since the dawn of time, astrologer priests went a step further and tried to explore and control the unseen forces that underlie the visible physical world, including the visible celestial bodies. This is the basis of magic; when the finer forces or vibrational patterns of the unmanifested universe are manipulated by the will and consciousness of the magician. The Qabalist generally discerns three worlds in addition to the physical world, each world laying beyond the other and containing the seeds of the vibrational patterns of the next. 1. All vibrational patterns eventually evolve to a higher state of order/purity. 2. Larger bodies or more evolved energies exert more influence over a bigger distance. 3. More specific energies (narrower bandwidth) are more intense over a bigger distance than sources that are diffuse. 4. Energies that are closer in time and space exert more influence. 5. Energies that have a similarity in pattern are more likely to influence each other. 6. Energies that form harmonic aspects with other vibrations are empowered by each other. 7. The vegetative and mineral energies or vital principle of plants and minerals that is re-awakened according to the above, can be used to strengthen the same vital energies in human beings. An interesting example is the fact that two nearly identical pendulum clocks which are hung on opposite walls in the same room will always start and continue to swing in unison after an initial period of “induction”. So regardless of the starting positions of the two separate pendulums, they will initially adjust their swing slightly until through this process of sympathetic vibration they swing in unison. Obviously these are inanimate objects and this example perhaps only underlines the last theorem and to a lesser extent theorem 2, 3 and 4. 1. 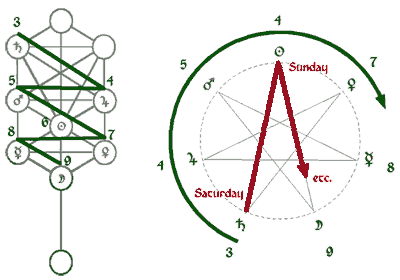 The planets and stars correspond with intelligences of a far more evolved nature or condensed power than any life on earth and thus their influence can be applied to facilitate the “raising of vibrations” in alchemical preparations. The Alchemist himself is obviously also a power to reckon with and more so because of his/her direct proximity to the preparation. 2. The Sun and Moon are the most important intelligences to tune into in view of their size and proximity respectively, and because of their highly specific “red” and “white” natures. 3. Alchemists often shield their preparations from unwanted outside interference. When an important activity is to be undertaken, destructive forces have to be screened off. 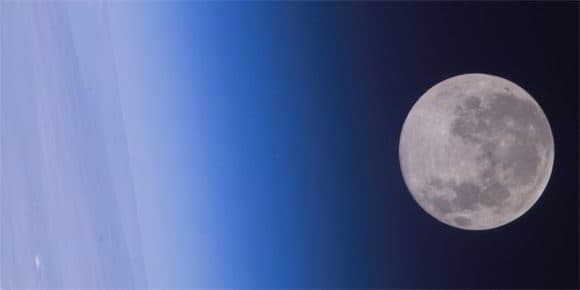 If a lunar evolution is required, the student will generally work only at night at candlelight and carefully shield the subject from the sunlight during the day. 4. Saturn and Jupiter are of importance because of their sheer size and power. Given their distance to Earth, smaller planets like Mars and Venus are able to compete with regard to energetic impact. Since we cannot significantly modify the dimension of space, the application of this theorem usually revolves around the concept of electional astrology, where the materia is “opened up” (for example, by grinding) or subjected to a moment of radiation that is as close as possible in time to the point of power of that energy or the most advantageous aspect (also refer to theorem 6). 5. Determination of the planetary association, or the vibrational signature of a plant or mineral is necessary to determine which intelligence will best contribute to the evolution of the inner spark of the materia. It is this particular imprint that connects the materia to the source of life and the higher it evolves, the more it becomes a vessel of life. 6. The start of important alchemical stages were often planned on the basis of ephemeral elections in which the most harmonic aspects of the main intelligence was determined. 7. By ingestion, the “raising of vibrations” can be extended to the human body for those vital energies that are equally present in the Mineral, Plant, and Animal Kingdoms. Some students of the Art feel it is essential to exclusively work on their solar tincture under the sign of Leo, at summer solstice, when wearing their yellow robe and yellow hat, in a yellow room, etc. Such a practice has perhaps more of a talismanic value than a practical value but it is difficult to say when astrology really starts or stops being of practical value. Spagyric plant preparations are of a nature that is still relatively unrefined and that have a diffuse energy spectrum. As such, the astrological effect towards its evolution is limited. Having said that, I must admit that the few times I noted some out of the ordinary observations in a circulation of a magisterum was when I had made a serious attempt to follow the heavens in my operations. 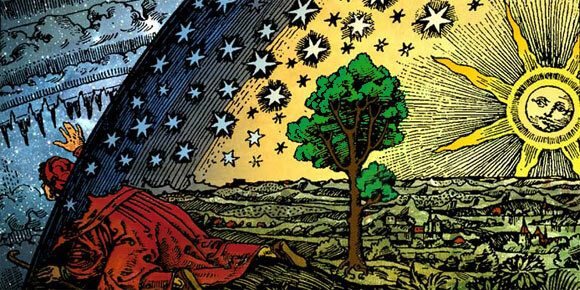 In more advanced alchemical processes, the materials are progressively more pure and raw in the sense that they are more close to the root of physical manifestation. Alchemy in the Mineral Kingdom, for example, is of a more advanced nature and deals with more focused energy patterns. As such, this form of Alchemy is also more susceptible to both negative and positive energies. It is not without reason that for centuries Alchemists have collected their dew exclusively in the months of March and April, in the hours before dawn. All objects in nature are produced in Time. Creative, protective and destructive forces are embedded in the womb of Time. There is a time to sow and a time to reap. Why not do the sowing in the harvest season? Nature would be against us. During the sowing season, creative forces are in operation. Here's a very simple practical guideline as to how to apply astrology for basic spagyric work: “don't bother”. Astrology is considered a pseudo-science since it has proven difficult to statistically prove any of its value. Then again, the number of variables is so large that to statistically prove the value of astrology is next to impossible. Yet many farmers and gardeners continue to follow the moon and serialized astrological planting guides as they have done for thousands of years. One thing is for sure: even if your astrological efforts don't have an immediately obvious benefit it is unlikely that it is going to hurt. Correspond the planetary association of the starting material with that of the day you will be grinding or starting to macerate the herb, in this case Wednesday. See appendix 1 for more information on planetary correspondences. Follow the phases of the Moon. For example, use a Philosophical month as the duration of maceration; it is best to start on a new moon, and end on a full moon. Check in which sign the Sun resides. Try to avoid negative aspects between the Sun, Moon and Saturn. There's a neat rationale behind the table above, both in the vertical and the horizontal axes (the horizontal being the same as why the days of the week are associated to the planets the way they are). This rationale is presented in the following two figures: green represents the vertical progression in the table above, and red the horizontal. It is beyond the scope of this note to explain the Qabalistic or mystical significance. New and waxing moons are best for beginnings and increase in energy. Full moons are best for endings. The (-) signifies a receptive force, the (+) signifies a projective force. The direct correspondences of plants to the sun, the moon, and the planets are generally given more weight than those relating to the signs of the zodiac which are indirect derivations that primarily link back to the planets according to the table above. There are also specific zodiacal correspondences like Taurus for plants of the earth like mushrooms, Gemini for mosses as an airy sign, etc. In order to make sure the planetary energy comes through unadulterated, and for maximum impact, it is recommended to try to avoid negative aspects between the Sun, the Moon and Saturn. The most sensitive angles to avoid are the square and the opposition. Nowadays, casting a horoscope is made extremely easy by computer software. “Solar Fire” from Astrolabe is one of the better programs on the market today for western astrology. “Kala – Vedic Astrology Software” is one of the best Vedic astrology programs. It is speculated that Vedic astrology is the most accurate then after that, Chinese astrology, and lastly western (tropical/sidereal). Nevertheless for those involved in western esoterics and Alchemy, it is recommended to study western astrology first before branching out to other systems because it provides the easiest frame of reference. Some astrologers believe that, on average (in the present era), 65% of our lives are ruled by Destiny and 35% by Wilful action (freedom to choose). Destiny is that part of our lives where we have no control over life’s situations. This is for a large part shaped by the sea of energies that inundates us from the expanses of the universe. Wilful action is that part of our lives over which we have control. Destiny, however, is linked in with the worlds beyond the mundane and thus inherently a spiritual factor. It can therefore also be overcome by spiritual means – we can to a large extent shape our Destiny. Eventually all things can be overcome by the mind, so potentially, the Adept himself is the foremost determining factor in the end results of his attempt to make the Stone.